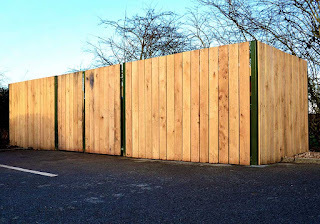 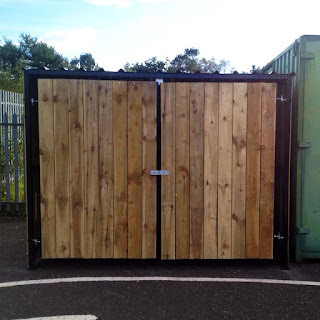 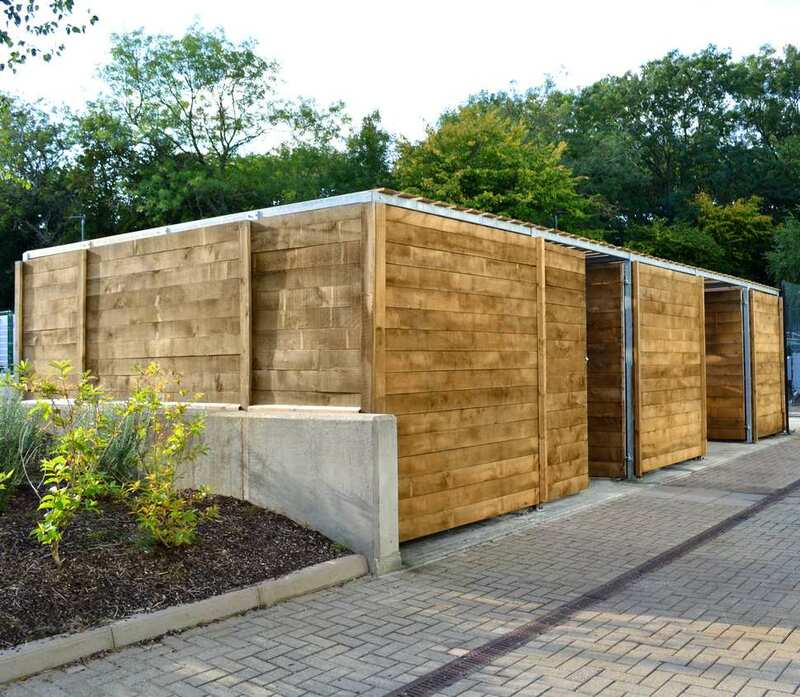 Barricade Fabrications: Hardwood Timber & Steel bin storage compounds fabricated by Barricade Ltd.
Hardwood Timber & Steel bin storage compounds fabricated by Barricade Ltd.
Barricade fabricate and supply a wide range of bin stores and bin storage compounds. Our standard timber bin store features a galvanised steel frame fixed with hardwood timber slats to form a secure storage compound with the option of lockable doors and a roof. 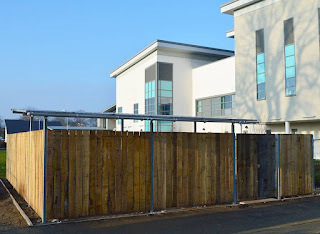 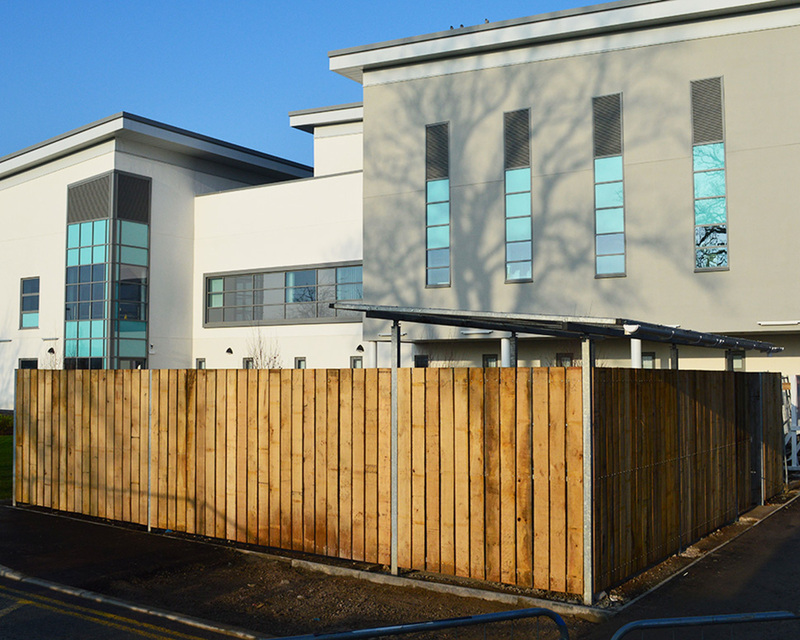 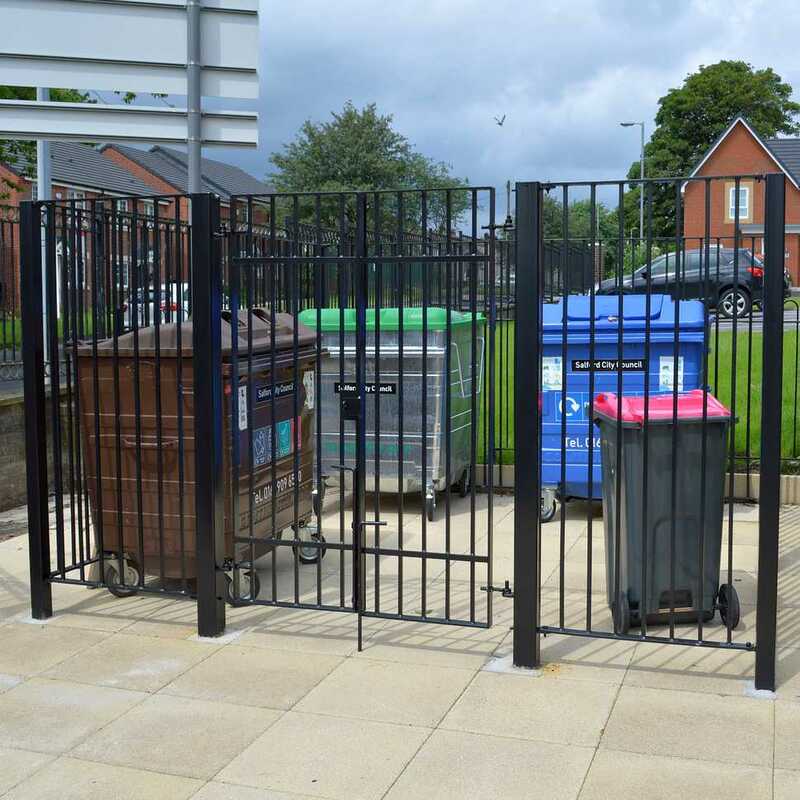 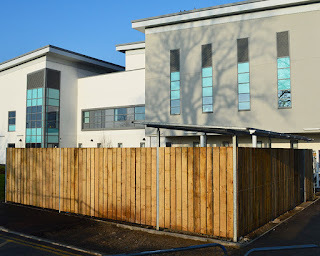 The bin store is ideal for shops, schools, college and university campuses, residential building complexes and business premises, where the need to hide unsightly waste storage and bins is necessary. 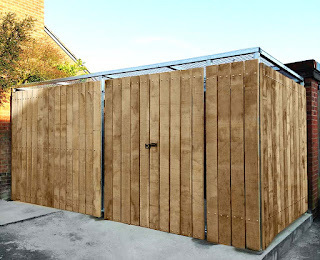 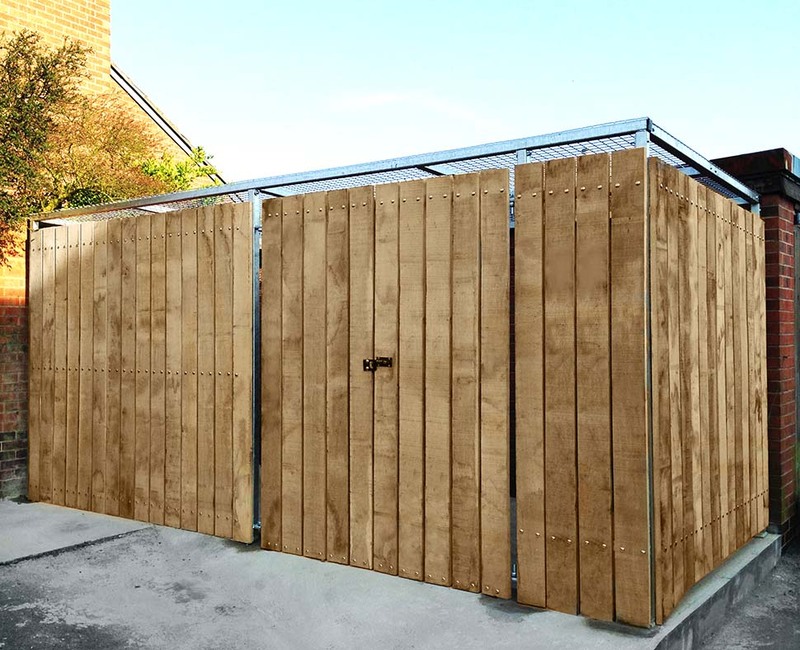 Waste bin storage compounds are constructed from treated hardwood timber slats and a galvanised mild steel frame. 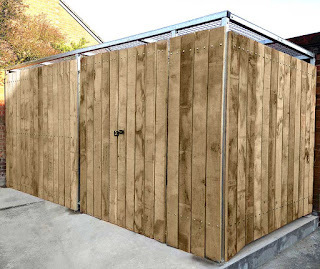 The bin store is a sturdy, durable, weather resistant and aesthetically pleasing storage unit designed to hide unsightly waste. 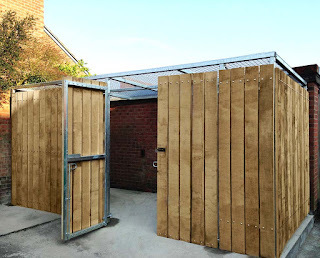 Our bin stores are fabricated in-house and can be designed exactly to our customers bespoke specification. Lockable doors can also be fitted to the waste storage compounds to prevent unauthorised access. 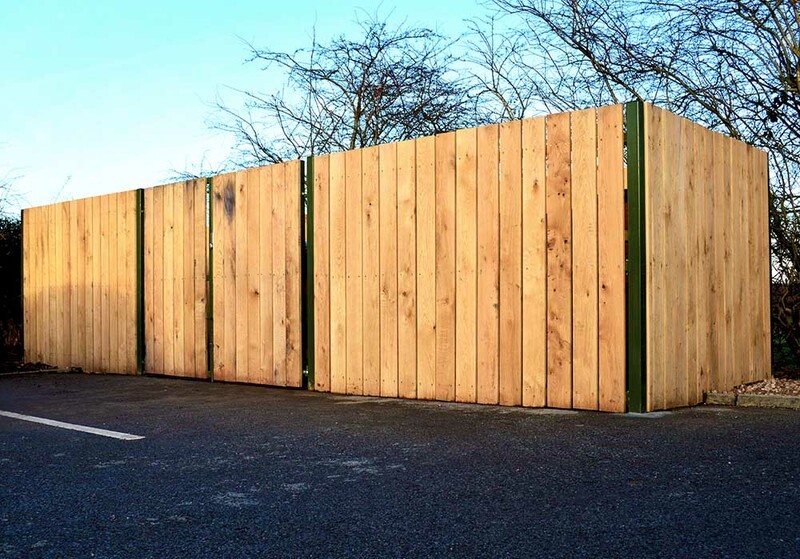 For pricing and availability details, please contact our sales team. 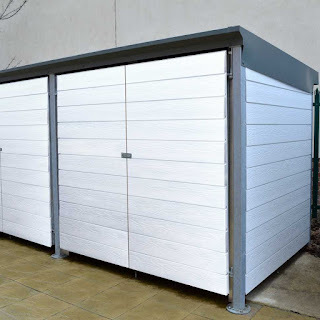 We fabricate our bin stores in-house to customer specification so please contact the Barricade sales office on: 0845 900 2131 or fill in our enquiry form on the contact page and we will be happy to provide you with a quotation. 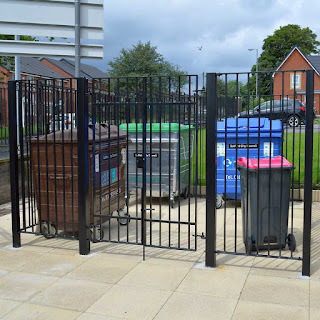 Waste bin storage compounds are constructed from a galvanised mild steel frame. The bin store is a sturdy, durable, weather resistant and aesthetically pleasing storage unit designed to secure stored waste. 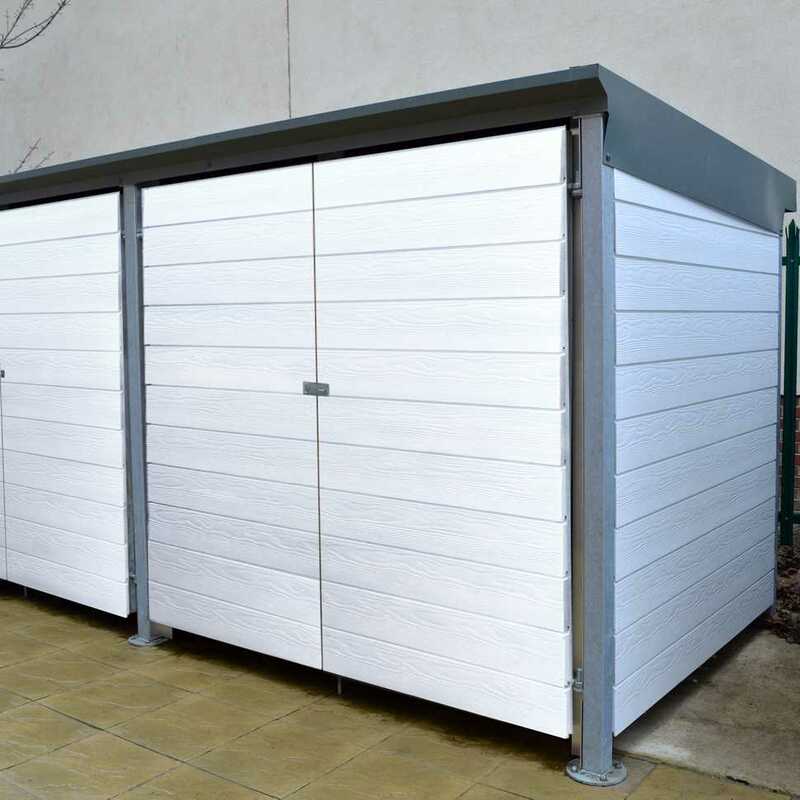 Our bin stores are fabricated in-house and can be designed exactly to our customers bespoke specification. 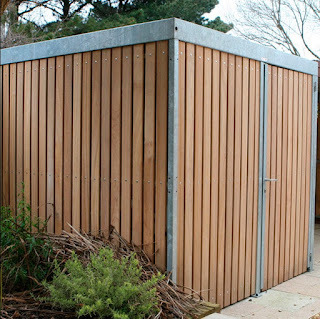 Lockable doors can also be fitted to the waste storage compounds to prevent unauthorised access. The steel bin stores are available in a variety of RAL colours to suit the surrounding environment.